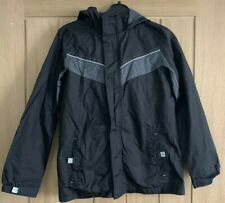 Boys rain jacket, 11-12 years from Debenhams, good condition. Lots of wear still left. 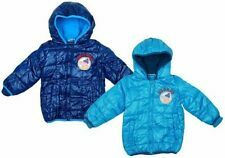 This jacket has been worn but still in good wearable condition size 2-3 Years height 98cm 38” Chest 54cm 21”. 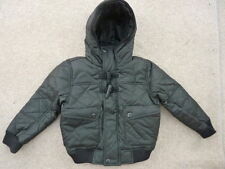 BOYS DEBENHAMS ST GEORGE BY DUFFER JACKET 8 YEARS WITH ZIP FASTENING AND POCKETS AT THE FRONT. 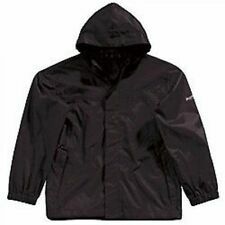 Debenhams thin anorak. Aged 9-10 years. Black shell with reflective material. Fleece lining hood, zip fastening, 2 zip front pockets. In very good used condition. Zip up with popper fastenings. 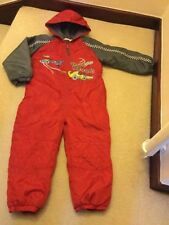 boys size 7/8 years. STYLE.QUILTED HOODED JACKET. ITEM -:¦■A BOYS JACKET/COAT. COLOURS MAY VARY SLIGHTLY FROM THOSE IN PHOTOGRAPHS WHICH ARE TAKEN IN HI RESOLUTION FOR BETTER PHOTOGRAPHS. AGE 13-14 APPROX 34/36 CHEST. MADE FROM.